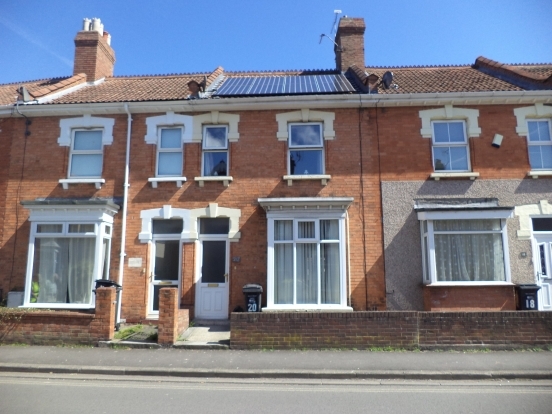 A superbly renovated Victorian Terrace house on the West side of Bridgwater. Three double bedrooms with en-suite to the Master Bedroom and as first floor shower room. Modern well-appointed kitchen and utility room. Large lounge through diner. Available now. ENTRANCE PORCH Leading to hallway, stairs rising to first floor. KITCHEN 18’6” x 7’10” Fitted with a modern range of units with laminate worktop over providing ample individual storage. Fridge freezer, integrated electric oven with 5 rings gas hob and extractor fan over. Breakfast bar. UTILITY With stainless steel sink and storage space. Hot Point washing machine. BEDROOM 1 14’10” x 12’9” A very spacious room, superbly furnished. TV & Sky connection. BEDROOM 2 13’5” x 9’5” Superbly furnished including TV & Sky connection. BATHROOM Wet room with WC, hand basin and shower. MASTER SUITE 18’5” x 11’3” With built in storage and hanging space, a superb en-suite. OUTSIDE To the rear is a paved courtyard garden with seating area. Application fee is £180 (inc vat) for the first applicant and £120 (inc vat) for subsequent applicants. All our rental properties require a deposit upon entering into a tenancy, the amount of deposit required will be at least the same amount as the rent but may be higher due to individual landlord request. The application fee(s) must be paid to us upon handing in the forms, but the rent and deposit will only be requested if you have been successful in the process.